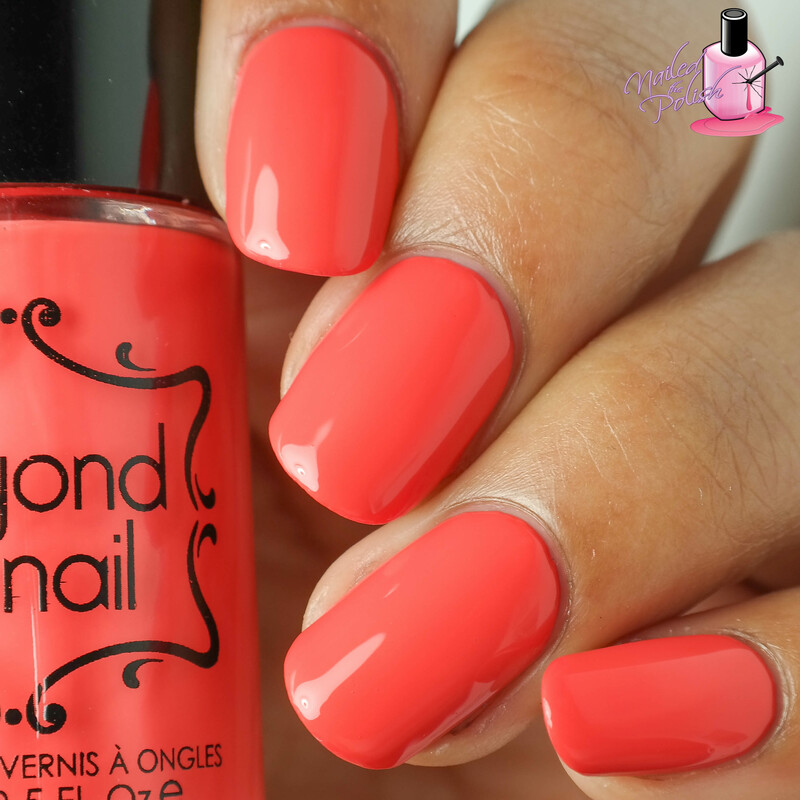 In this post, I will be sharing swatches of three polishes by Beyond The Nail, a Canadian indie brand that’s been around for almost two and a half years. Cosmopolitan is a gorgeous opaque coral creme that is part of their Summer Cocktail Collection. Shown here is three coats plus top coat. The formula on this polish is quite nice – easy to apply and control. I did have slight leveling issues during application but they went away once the top coat dried. Crème de Menthe is a perfect opaque mint creme that is also part of their summer cocktail line. Shown here is three coats plus top coat. This polish has the same formula as Cosmopolitan. I do think that this could be a two coater depending on how well you apply the first coat. Last up is Cherry Wine – a stunning burgundy holo jelly with gold shimmer. This polish is part of Beyond The Nail’s Nail Artist Collaboration Collection and was created with the absolutely amazing KGRDNR – one of my favorite IG nail artists and bloggers! Shown here is three coats plus top coat. Since this polish has a jelly base, it is a little sheer requiring three coats but I’m not complaining because it has amazing formula! I love how the gold shimmer shines through the holo! If you love nail decals, then you’re going to love this! Each polish from both collections mentioned above have corresponding nail decals that you can purchase in 25 different colors! Here’s a macro of Cherry Wine with it’s corresponding Damask nail decal with some added black and gold double stamping (Bundle Monster plate BM-607). I love how clean this decal is especially with the amount of detail that’s in it! I’m pretty happy with the formula on all three polishes. While I did have slight leveling issues with the creme polishes, adding top coat made any waves/streaks disappear. I LOVE the decals that were made to compliment the polishes. I think that’s such a cute idea! Although the polishes I received were from two different collections, I must say that I adore Cherry Wine. Beyond The Nail has a few other holographic polishes that I’m sure are just as amazing. 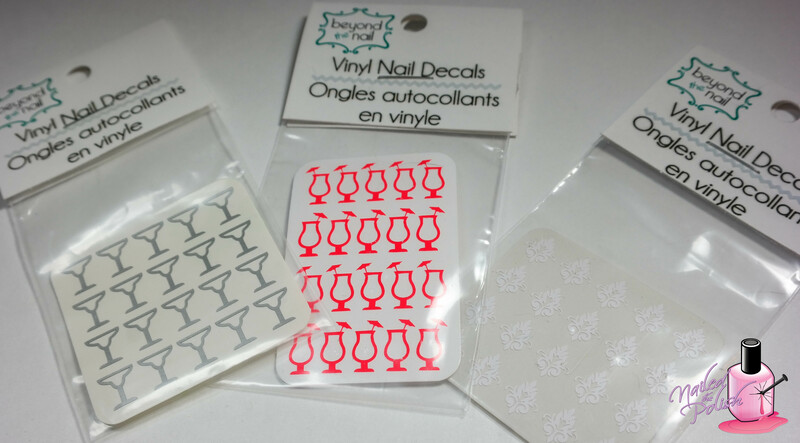 All three polishes and decals are currently available for purchase through Beyond The Nail’s website. Be sure to check out Beyond The Nail on Twitter, Facebook, and Instagram for more photos and information on upcoming collections!